Why is it that we fear the unknown? I don’t know about you, but whenever there’s a big event or activity or milestone in the future, I always prepare for the worst. It’s a bad habit I guess. It’s like I let my nerves focus solely on the negatives of what could happen. Why don’t I let myself imagine the positives? Like, what if I go to the party and have an awesome time? Well, this is something that is not new for me. Nor is it something that is specific to events. It was part of my anorexia recovery too. When I was in the last of my weight restoration period, I was absolutely terrified of the last several pounds. I was petrified that if I were to be in my “weight range” that I would be huge. A whale. Ginormous. And it was because I didn’t know what it was going to be like, so my mind went to the negative. So I wanted to share something that I thought would be helpful. Something that I wish I would’ve seen when I was recovering. 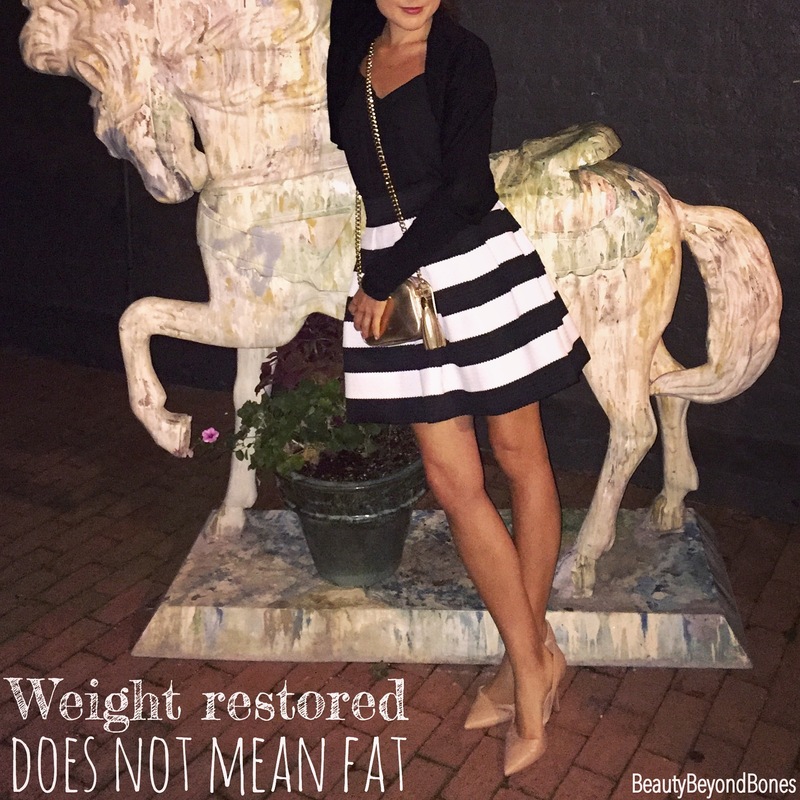 And that’s this: weight restored does not mean fat. I hesitate to post this picture on here, for fear of seeming “egotistical,” but I honestly believe that had I seen something like this when I was stuck in that place of being terrified of the last several pounds, it would have been really helpful. For had I seen this, I would’ve been able to actually see that weight restored does not mean fat. It means healthy. It means not emaciated. It means not scary. And having seen something like this, I would have realized that instead of being scared, I should be thinking about how exciting it is that my body is blooming. And how beautiful my body is going to be once I’m weight restored. And not just physically beautiful, but possessing beauty that comes from the inside. Beauty of a mind at peace. Beauty of a heart that rests in Him. Beauty of a spirit that is no longer enslaved, but free. If there’s one thing that I would say to my weight-restoring-self it would be this: instead of facing the unknown with fear, face it with curiosity. Instead of being afraid of how your body will look, why not approach it with wonderful anticipation – with bated breath – because the truth is, you’re beautiful from the inside out. And your restored body will reflect that. This mindset of looking to the future with hope and positive curiosity is healthy in all aspects of life. Because I was thinking about it the other day: when I fear the unknown, I’m basically saying that I don’t trust that God will take care of me. There are so many things that can cause worry and anxiety today: where to go to school, what to major in, what job to take, is “Mr. Right” really “Mr. Right,” how to parent your kids, how to make ends meet. There’s always something pressing on our hearts. But we are promised that God really will take care of us. Romans 8:28 God causes all things to work together for good. I literally have absolutely nothing to be anxious or worried or apprehensive about. Not about body image, or meeting my future husband, or what my next acting gig is going to be, or how my health is going to hold up. Because the truth is, God is taking care of all that. And His plans are good. That’s all He wants for His children. So there’s literally nothing to be worried about. So I can rest peacefully, knowing that I’m not in control, He is. So if you find yourself fretting about this or that this week, just remember that He’s in control. And if you’re an ED warrior facing a seemingly insurmountable task of restoring fully, just know that weight restored does not mean fat. I’m right there with you on fearing the worst. Hoping that’s all it is, “a bad habit”. I beat myself up about this too. I worry about the same stuff. Will I pass out. Will I have a panic attack. Why can’t I just flip that to think positively. Such a good question. Great post! 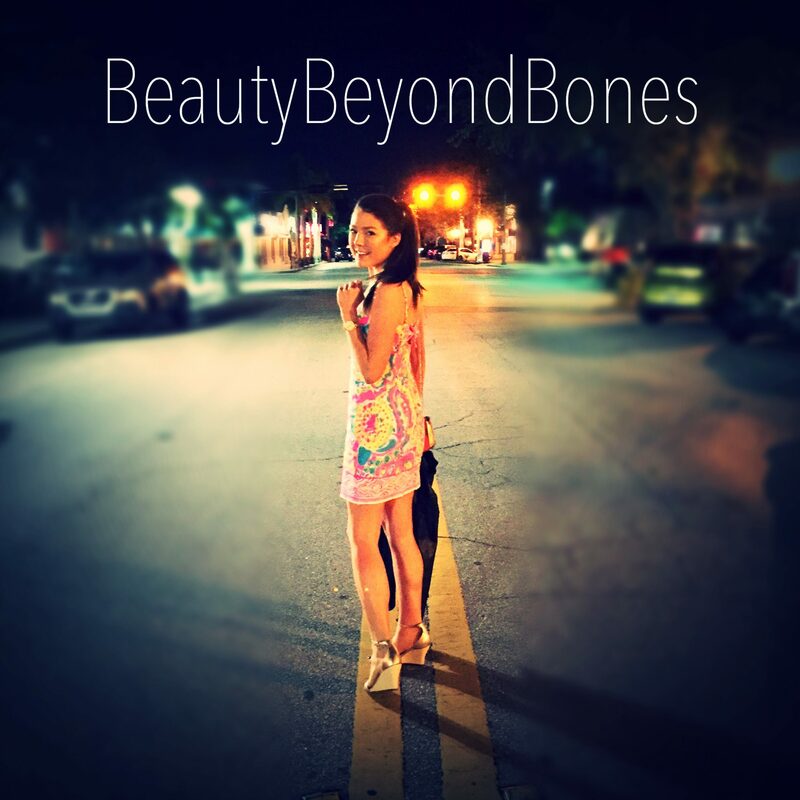 Great post…You are Beautiful…and such an inspiration to others sharing your situation, and to those who are suffering other adversity….Keep up the good work…You have been Heard! GOsh, thank you so much! It’s easy to get caught up in fear. But we’ve got to just trust! Thanks for stopping by! Old parable…give your troubles to God because he’s gonna be up all night anyway! haha I love that! so true! Thanks for stopping by and sharing that tidbit of wisdom! Your words are so healing and helpful. In – sanity as I think about it, is being trapped in – side our own thoughts. The longer we stay there the more in-sane we get. The constant churning of the same unhealthy assumptions and conclusions creates grooves and ruts that are hard to climb out of. I was a lonely child. A dreamer, an introvert that didn’t attract a lot of friends. My mom got me to change the tune playing in my thoughts by saying: so what if these girls don’t want to play with anyone but themselves. Find someone that needs a friend and you be that friend for them. This thinking turned me into an initiator and opened up opportunities to think about more than myself. I like the idea of replacing fear of the unknown with curiosity. I do tend to fear the worst but, as you say, that’s not really trusting God. This is a really helpful post. Thanks Carly! I appreciate that so much:) glad you stopped by! No problem Bella! Thanks for stopping by! hugs! Great courage in sharing this so openly! Thanks! You’re so right. It IS more fun when you think of the positives:) thanks for stopping by! The pre-anxiety before any even that is not completely in my control (aka not alone) still confuses and frustrates me. It’s like it just happens automatically – no matter what the even is – no matter how rationally I can tell myself it will all be fine – there is always a fear that someone bad will happen. With each experience, I learn that this is not the truth. This is a beautiful post and such perfect timing as I just posted about my current fears of finishing off weight restoration and fearing change. Thank you. So if was not God that gave us a spirit of fear who is trying to make us embrace that? I believe it is satan and if you are a child of God living in His grace you want nothing the enemy has or tries to give you. I am a joint-heir with Christ. God is the Alpha and Omega, the beginning and the end. God knows the end FROM the beginning. The is NOTHING that is beyond the reach of God. God is the Creator and God can create in us His vision of perfection in our lives. Thank You for Your love and grace, oh Ancient of Days. You are our strong tower, and our rear guard. There are NONE above You, Lord. Your love is so wide we cannot get around it; Your love is so high we cannot get over it; Your love is so deep we cannot get under it. There is NOTHING that can seperate us from Your love oh Lord. Amen!! Amen! What a beautiful reminder. Thank you Eric. You’re so right. We’ve been given a spirit of power. And there’s absolutely zip zilch nada that can separate us from his love. Thanks for stopping by! What a nice post. It’s important to be kind to yourself, not just to others. Beautifully written. And so true. Thank you for sharing! Thanks Lizzy! I appreciate it:) glad you stopped by! Have a great weekend! Thank you for sharing your thoughts on this! I’m pretty sure that my body needs to gain some more weight, but it’s still hard for me to accept. This was a great reminder! I see the word “fear” throughout this text. It reminds me of Blue October’s song “Fear”. That song helps me in my depression. Just a heads up. Thanks So much for that Casey. I’ll definitely check it out! PS: You seem like a strong Christian…awesome! thanks Casey! i definitely try to follow Christ. I always fall short but my heart is in the right place 🙂 thanks for stopping by! We all fall short, otherwise we wouldn’t be human. Your heart is definitely in the right place. I’ve read a few of your posts and you seem pretty down to earth as well. Perfectly balanced according to Ecclesiastes! Beautifully stated…keep healing! Keep gaining!!! You are loved. Thank you so much:) i appreciate the encouragement!